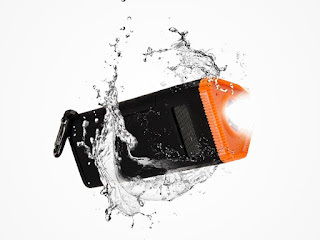 KMASHI Waterproof Bluetooth Speaker & Battery Pack - The Perfect Outdoor Accessory Is a Bright Light, 4800mAh Battery and Speaker in One. Why pack three items when you can pack one? Next time you’re biking, camping or simply soaking up the great outdoors, you’ll be thanking yourself for bringing this Bluetooth speaker along. It’s a speaker, light, and battery in a single waterproof device – it doesn’t get much better than that. It’s shockproof, dirt-proof, mounts onto your bike, and depending on your musical taste even scares away bears.